Classification:	Duties appropriate to the Health Services Union of Australia–Victorian Stand-Alone Community Health Services (Health and Allied Services, Manager and Administrative Officers) – Multiple Enterprise Agreement 2011-2015 classification Grade 7 plus vehicle for full private use (GCH Vehicle Usage policy 7.1). Hours:	Full Time – 38 hrs per week. “Vibrant & Healthy Communities”- By working with our community, Grampians Community Health aims to provide support and encourage opportunities for healthy lifestyles. GCH Goals are to meet client expectations, provide high quality of service, advocate on behalf of the community and maintain strong business viability. The individual is at the heart of everything we do. We provide a safe and respectful environment that values diversity, equality and inclusion. Our values are transparency, accountability, respect and excellence. 1. GCH Board of Directors consists of elected and appointed members who have ultimate responsibility for the management of the organisation. The operational management of GCH is delegated to the Chief Executive Officer (CEO). Finance and Risk is a sub-committee of the Board. 2. Senior Management Group (SMG) consists of CEO and two General Managers. The SMG works cohesively with the CEO to ensure the strategic goals set by the Board result in improved health and community services for a growing community. The SMG is a collaborative and flexible unit that can respond quickly to new opportunities and the changing service delivery and funding environment. 3. CORE consists of the CEO, SMG, Program Managers and the Executive Assistant. The group contributes to operational decision making and discusses operational client and staffing strategies to improve GCH services. The General Manager, Business Support and Innovation is responsible for GCH’s continual improvement in community engagement, financial oversight, resource management – assets, people and infrastructure, business development, and quality control. The GMBSI will be proficient in all facets of operational management with a strong skill set that allows executive performance being required. 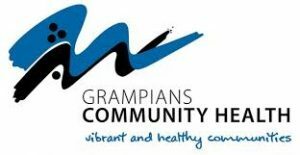 As a senior leader of Grampians Community Health the GMBSI will be passionate about exploring opportunities to continuously improve community service provision to better meet the needs of the community and display strength in health service planning, community engagement, business development and strategic planning. For the programs reporting to the GMBSI, the position will drive a culture of effective team work, communication, high quality service provision, respect and collaboration. The Executive Team will work cohesively with the CEO to ensure the strategic goals set by the Board result in improved health and community services for a growing community. GCH is committed to being a not for profit –profit for purpose enterprise that generates revenue to address health and wellbeing. The Executive Team will therefore be a highly functioning, collaborative and flexible unit that can respond quickly to new opportunities and the changing service delivery and funding environment. The GMBSI will be proficient in all facets of operational management with a strong skill set that allows executive performance being required. As a senior leader of Grampians Community Health the GMBSI will be passionate about exploring opportunities to continuously expand service. The GMBSI provides timely, expert advice on sensitive issues, policy, legislation, systems and processes while maintaining and developing key strategic relationships with all stakeholders. The role requires high-level leadership capability and superior management skills that demonstrate an ability to achieve organisational objectives when leading, contributing and collaborating within teams. Executives at GCH are responsible for organisational strategy, governance, service delivery and a range of other initiatives. They are expected to liaise with internal and external departments and agencies. Executives are to ensure our organisation’s reputation is high, service opportunities are contestable, and service delivery is relevant, effective, and provides value to the community. •	Implement consistent processes and procedures that are responsive to both individual requirements and government changes across all areas of operation. This includes customer engagement, budget development and operation, management of staff and physical resources and interaction with funding providers. •	Provide a proactive approach to operational change in response to major service reform at both a State and Federal level. •	In conjunction with the General Manager Community Support, develop effective business case documentation to support business growth and development. •	Work within the SMG to respond quickly, analyse risks and effectively to capitalise on changes in the business environment in relation to new business opportunities. •	Provide continuous review and critical input into strategic plans and objectives to ensure these meet the emerging needs of GCH’s community and stakeholders. •	In conjunction with CEO and SMG, identify and drive new business models to support the expansion and development of GCH’s services. •	Take overall responsibility for GCH’s functions in compliance and controls with relevant corporate and risk legislation, regulations, statutory obligations and standards. •	Develop and monitor department budgets with the program managers and finance personnel in alignment with the strategic and financial plans. •	Execute the financial strategy of GCH and actively contribute to the development of strategic reviews and planning. •	Provide oversite to the preparation of financial statements, ensuring reporting is completed and relevant statutory requirements and standards are met in a timely manner with consistent high quality data. •	Ensure proper process and accounting controls for payment of salaries, purchasing, approval of invoices and payment of accounts. •	Oversee the development of funding submissions based on research, best practice and needs analysis. •	Develop and support continuous improvement of systems, controls, policies and procedures for financial and resource management throughout GCH in conjunction with the CEO and relevant committees. •	Ensure all finance and resource records are appropriately housed and managed. •	Support Program Managers with the provision of accurate and timely financial returns to funding bodies and other external agencies as required. •	Ensure accurate financial reports are provided to GCH Program Managers on a monthly basis and at other times as necessary and support team members to achieve quarterly and annual targets for their programs. •	Provide clear information and advice to the Finance and Risk Sub-Committee meetings, ensuring that finance personnel have prepared accurate and timely financial reports, agenda and minutes for the conduct of the committee meetings. •	Make recommendations on human resource management inclusive of strategies, systems, workforce planning, policies and procedures to meet GCH business objectives. •	Coordinate GCH’s professional development and training program to support team, organisation and strategic goals. •	Ensure accurate and confidential personnel records are maintained. •	Ensure all staff and contractors, reporting to or engaged by you, receive a thorough induction including occupational safety and emergency response matters. •	Develop, coach and mentor staff to build a high performing team with a commitment to shared goals. •	Recommend the acquisition or disposal of assets and capital resources in order to provide an efficient and sustainable suite of resources to enable efficient and effective service delivery. •	Oversee the GCH risk management register with ongoing analysis and review of strategic and operational risks and opportunities within the organisation. •	Provide advice to CEO, SMG and Managers on the preparation and management of contracts, leases and other financial and formal agreements, and oversee a register of such agreements is maintained. •	Ensure that all services are adequately resourced and responsive to the needs of clients and their families and employ sound service support practices. •	Manage insurance claims and the reporting and information demands of VMIA for all GCH insurance policies. •	Regularly review and audit policies and procedures relating to contract management, infrastructure, finance human resource and OH&S policies and procedures. •	Provide written reports to the CEO as required detailing service performance, growth and development, or other formal reports. •	Participate in corporate learning and development activities. •	Lead, manage, monitor, review and evaluate team and individual performance providing regular feedback. •	Represent or act for the CEO at times when the CEO is unavailable and has delegated responsibilities. •	The Chief Executive Officer. •	Provides written reports to the CEO as required detailing service performance, growth and development, or other formal reports, including contributions for annual and quality of care reports, newsletters and reports for the Board. •	Financial reports, analysis and secretarial services directly to the Finance and Risk Sub-committee of the Board of Directors of GCH & GCH Treasurer. Please note- the SMG will determine the final management structure and reports following the appointment of the General Manager’s and there contribution to GCH requirements going forward. •	Auspiced body EO’s and managers. e.	and other work related expenses. Note: this is an arrangement between the Employee and the GCH Salary packaging provider. The employee will meet any costs or liabilities associated with these requirements during the period of their employment. 2. No overtime allowance is made for this position. Grampians Community Health normal spread of working hours is a 7.6 hour day worked between 8am and 6pm. Appointments, programs, Board and Committee meetings and other work may, at times, fall outside these hours. Time in lieu of time worked will be available but must be taken at a mutually agreed time with the CEO and may not be accrued to more than 15hrs/fortnight pro rata of employed hours. Time in lieu should be used for exceptional circumstances instead of becoming a regular practice. It is expected that no more than 15hrs of TIL will be carried forward from one pay period to the next. 3. This position will have an annual professional development review at which time the job description will be reviewed by the CEO in consultation with you and modified if necessary. 4. Ensure knowledge of current GCH Occupational Health & Safety policies as they relate to this sphere of work. OH&S is a shared responsibility at GCH. 5. Annual Leave and Personal (Sick) Leave will be payable on a pro rata basis. 6. 48/52 or 50/52 leave variation options may be available at the CEO’s discretion after a qualifying period. 7. 48/52 or 50/52 leave variation options may be available at the CEO’s discretion after a qualifying period. 9. GCH strongly supports Equal Opportunity and Access to Services, and requires all staff to be sensitive and inclusive of individual needs including but not limited to cultural, religious and sexual orientation. 10. The successful applicant will be required to hold a current driver’s licence. 11. As a Registered Community Health Centre this position is required to share responsibility for the Disaster Management responses at GCH – this may include rostered on call for GCH base requirements. 12. The CEO may alter this Position Description if and when the need arises. Any such changes will be made in consultation with the employee. Statements included in this position description are intended to reflect in general the duties and responsibilities of this position and are not to be interpreted as being all inclusive. Grampians Community Health is proud to be an accredited White Ribbon Workplace, accredited by the Quality Improvement Council, QIP Community Organisation of the Year finalist and has the Rainbow Tick. Grampians Community Health (GCH) is a public, charitable, NFP company registered under the Health Services Act and both ASIC and ACNC, holding DGR status. Governance is through a Board of Directors derived from the communities we serve. Established in 1985, GCH has expanded from a small counselling /community development service to a combined team of 150 plus staff and an active volunteer team of 95 people. GCH provides a broad range of primary health care, therapeutic and community support services, within the Central Grampians and Wimmera sub regions. GCH is embedded in and operates from a number of sites servicing the local government areas of Rural Cities of Ararat and Horsham and Pyrenees, Northern Grampians, Yarriambiack, West Wimmera and Hindmarsh Shires. GCH’s six primary sites are in Horsham, Stawell, St Arnaud, Warracknabeal and Ararat. GCH delivers services, backed by the social determinants of health, in aged, disability, youth, drugs and alcohol, family violence, homelessness, community mental health, health promotion, community inclusion, and gambling counselling. GCH is a registered provider under NDIS and My Aged Care. GCH auspices the Grampians Pyrenees PCP and Ararat Neighbourhood House. GCH works collaboratively and has many signed partnerships for the delivery of services and programs. All GCH sites have collocated services. GCH’s is the lead tenant at the Stawell Health & Community Centre (SH&CC) providing a unique integrated model of care, co-locating Stawell Regional Health, Grampians Psychiatric Services, Wimmera Uniting Care and Patrick Street Family Practice, and a GP clinic. GCH is fully accredited with QIC, Rainbow Tick and White Ribbon, Commonwealth Aged Care Standards, Mental Health and state DHHS standards. Please quote in application: General Manager, Business Support and Innovation via Pro Bono Australia.